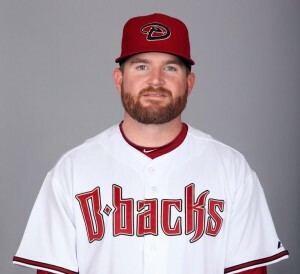 PHOENIX – On July 31, the Arizona Diamondbacks acquired left-handed pitcher and Kokomo native Joe Thatcher, right-handed pitcher Matt Stites and a competitive balance pick from San Diego in exchange for right-handed pitcher Ian Kennedy, according to D-backs’ Executive Vice President and General Manager Kevin Towers. The Padres’ competitive balance pick is the first selection of Competitive Balance Round B between the second and third rounds in the 2014 First-Year Player Draft. Thatcher, 31, was 3-1 with a 2.10 ERA (7 ER in 30.0 IP) and 11 holds in 50 relief appearances with Padres this season. He has limited left-handed hitters to a .215 average (14-for-70), and not allowed a run in 46 of his 50 outings. Thatcher has gone 8-11 with 1 save, a 3.18 ERA (70 ER in 198.1 IP) and 210 strikeouts in 287 appearances over seven seasons with San Diego (2007-13). Since 2009, he ranks third in the Majors allowing just 16.3-percent of inherited runners to score (34-for-208), trailing only Javier Lopez (14.1) and Clay Rapada (15.8). He is second in Major League Baseball games played by a Howard County native to the 379 by Tom Underwood. Thatcher fills the need the D-backs have for a left-handed specialist. Thatcher went undrafted after pitching at Indiana State University, and he pitched in the independent Frontier League in 2004 and ’05 before the Brewers signed him in ’05. Towers acquired Thatcher in 2007, when he was GM of the Padres, trading reliever Scott Linebrink to the Brewers for Thatcher and a pair of Minor League prospects. Stites, 23, went 2-2 with 14 saves, a 2.08 ERA (12 ER in 52.0 IP) and 51 strikeouts in 46 relief appearances with Double-A San Antonio in 2013. Stites, who held right-handers to a .165 average (19-for-115) with the Missions, was placed on the Minor League disabled list on July 26 with appendicitis and underwent surgery that day. Over three Minor League seasons in the Padres’ organization (2011-13), Stites has gone 8-2 with 32 saves, a 1.53 ERA (23 ER in 135.1 IP) and 150 strikeouts in 114 games, including a 0.74 ERA (4 ER in 48.2 IP) in 42 games with Single-A Fort Wayne in 2012. Stites also appeared in the Arizona Fall League last year, going 1-0 with 2 saves and a 3.21 ERA (5 ER in 14.0 IP) in 12 outings with Peoria. Kennedy, 28, was 3-8 with a 5.23 ERA (72 ER in 124.0 IP) in 21 starts with Arizona this season. In four seasons with the D-backs, he went 48-34 with a 3.82 ERA (318 ER in 748.1 IP) in 119 starts. Kennedy tied for the NL lead with 21 wins in 2011 and finished fourth in the NL Cy Young Award voting. Adcock, 25, combined to go 5-5 with a 7.35 ERA (73 ER in 89.1 IP) in 18 games (16 starts) with Triple-A Reno and Triple-A Omaha (Royals). He was claimed by Arizona off waivers from Kansas City on June 13. The D-backs 40-man roster is at 38. This entry was posted in Joe Thatcher. Bookmark the permalink.